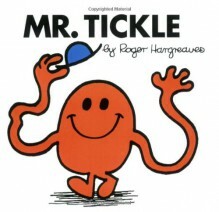 You'll laugh until it hurts when Mr. Tickle goes on a terrific tickling spree! Back to the Mr. Men & Little Miss microsite. A 1001 CBYMRBYGU.I remember this series of books well from my early years of teaching. I found them pedantic at the time, and I found them pedantic now.